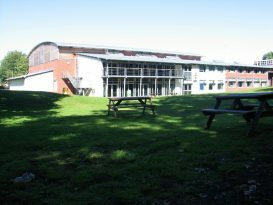 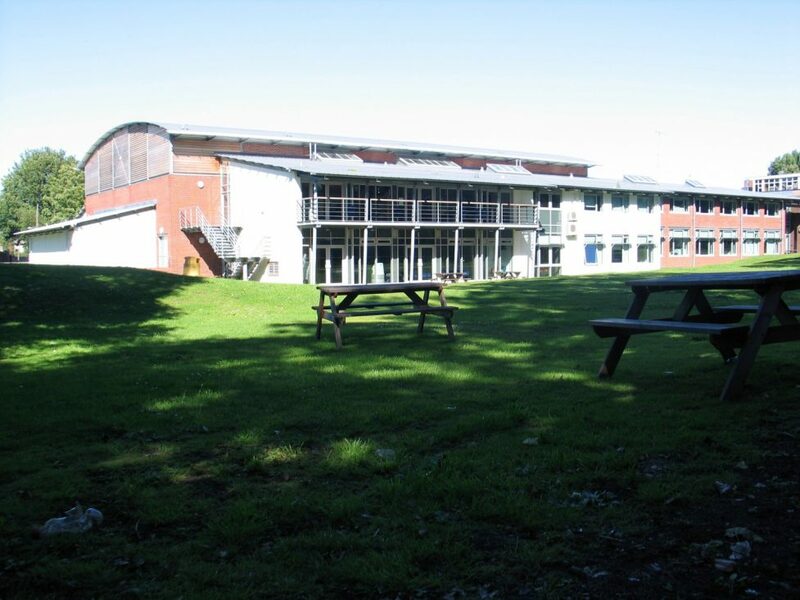 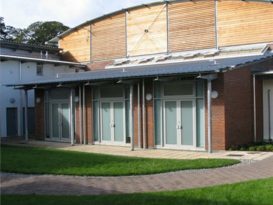 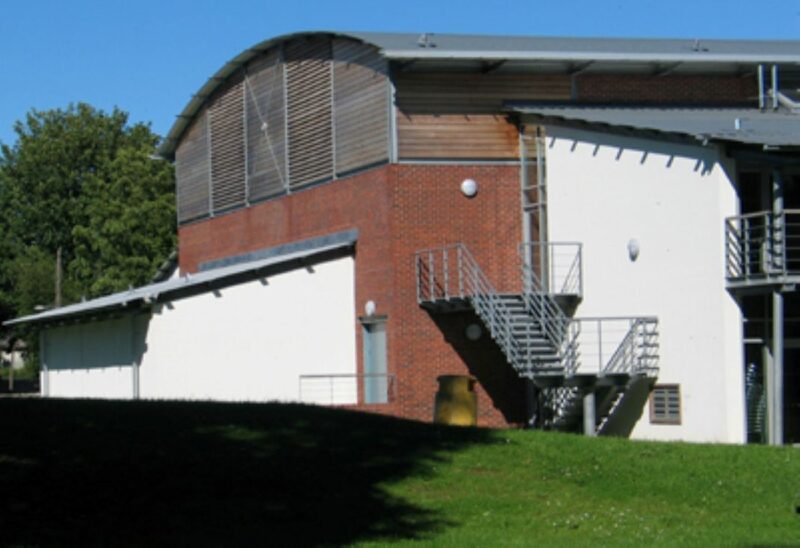 The brief was to integrate a 4-badminton court sports hall and 275 pupil sixth form building into a site within the Green Belt and the historical landscape of Ashton Court House, using NOF and Targeted Capital funding. 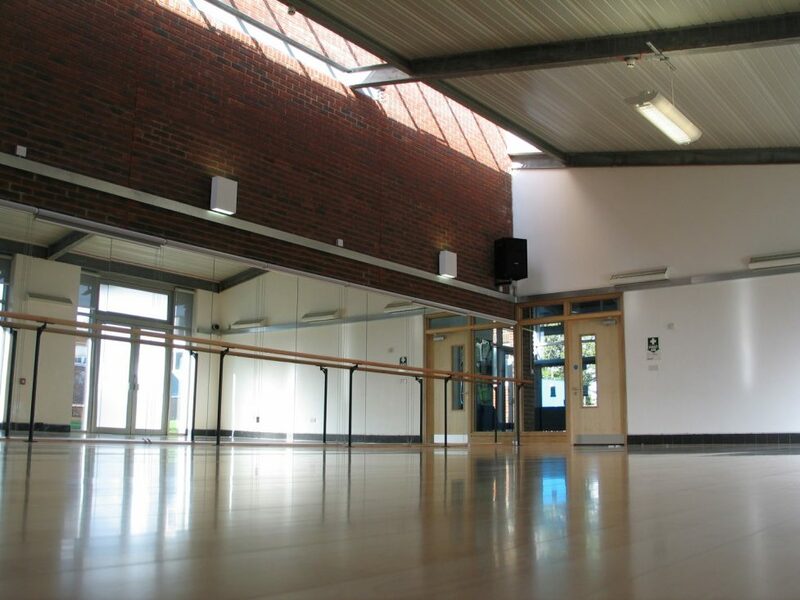 The scale of the 10m high hall has been visually broken down by the use of a series of mono pitched roofs for the ancillary parts of the brief. 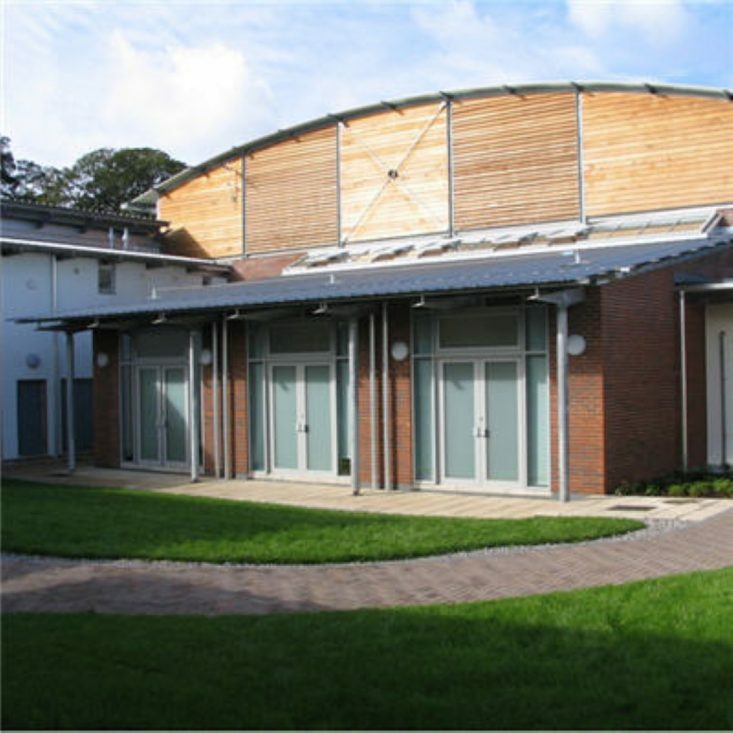 An open courtyard is formed using two existing buildings, a new DT classroom and 2 sides of the new building. 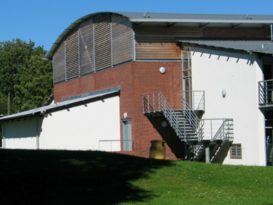 The hall volume is expressed internally and externally with a solid brick wall base as a reference throughout the building with cedar boarding at high level, crowned with a curved barrel roof to the hall. 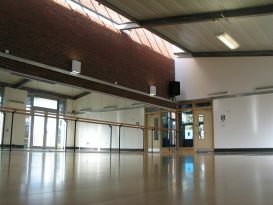 The new acoustic requirements have been met with solid walls and floors throughout and attention to detail.